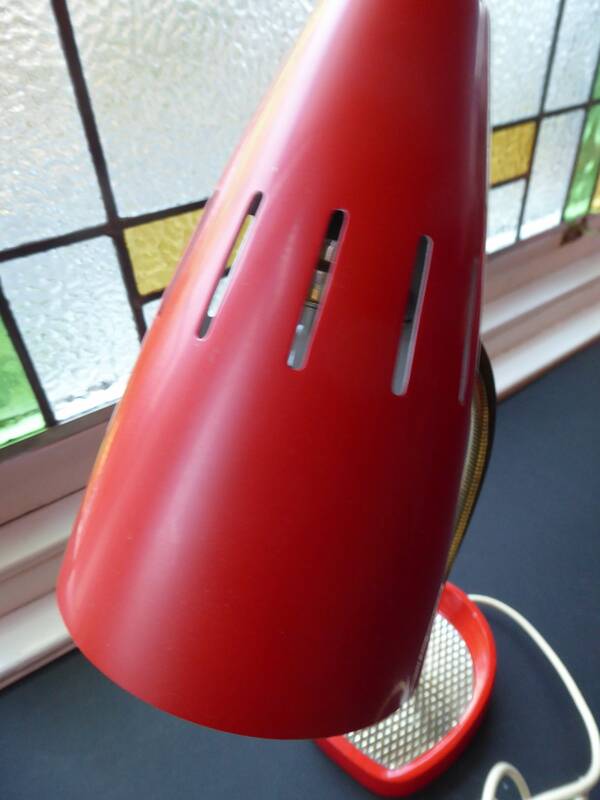 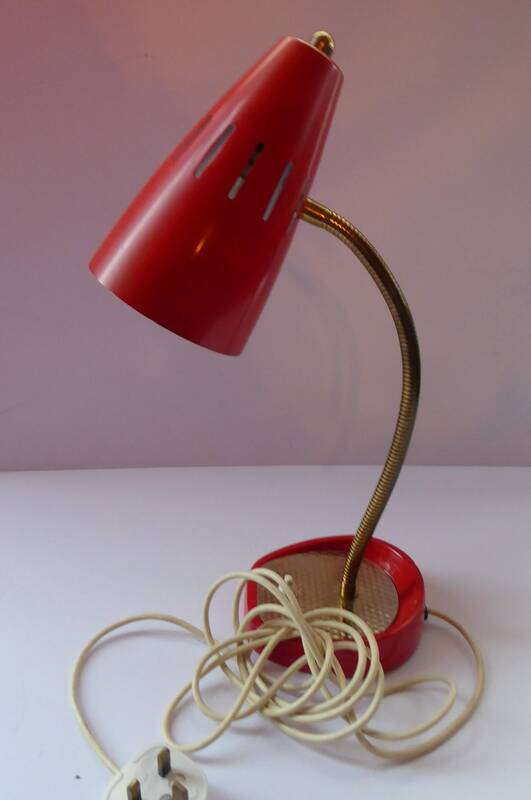 This is a lovely vintage desk lamp - it must date to around the late 1950s or 1960s. 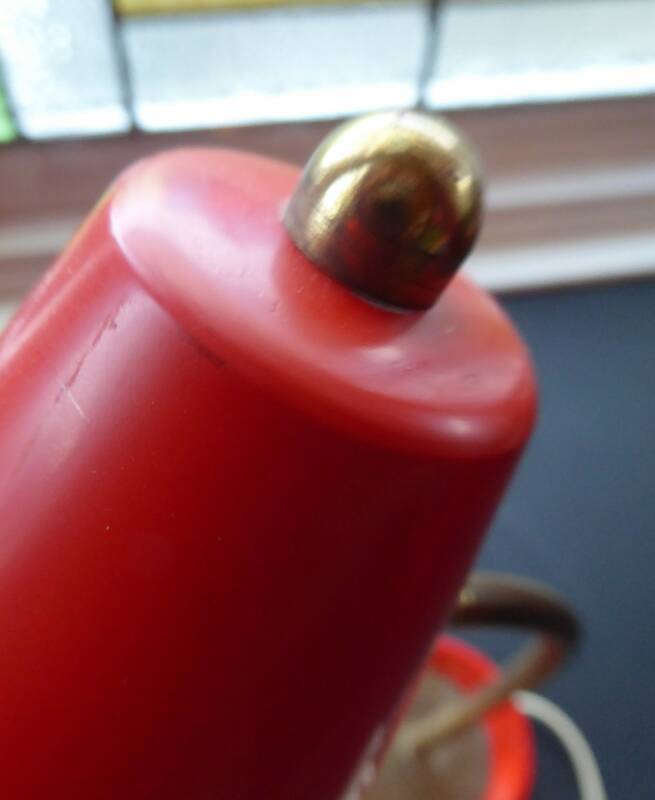 It has a heavy orange painted metal base (original paintwork) - with a gold textured cover on top with a little white plastic on and off button. 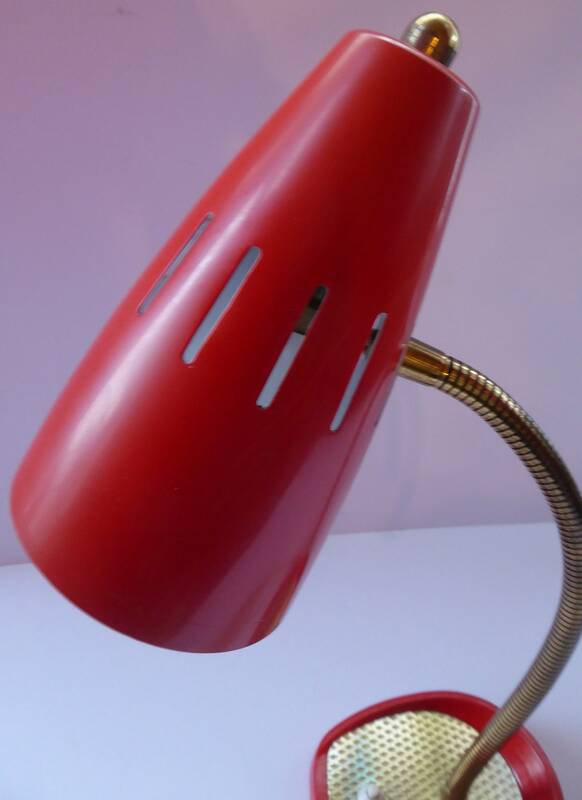 From the base issues the upstand of the lamp - this is also made of metal sections (as photographed) and is bendable so you can point the shade in a variety of positions. 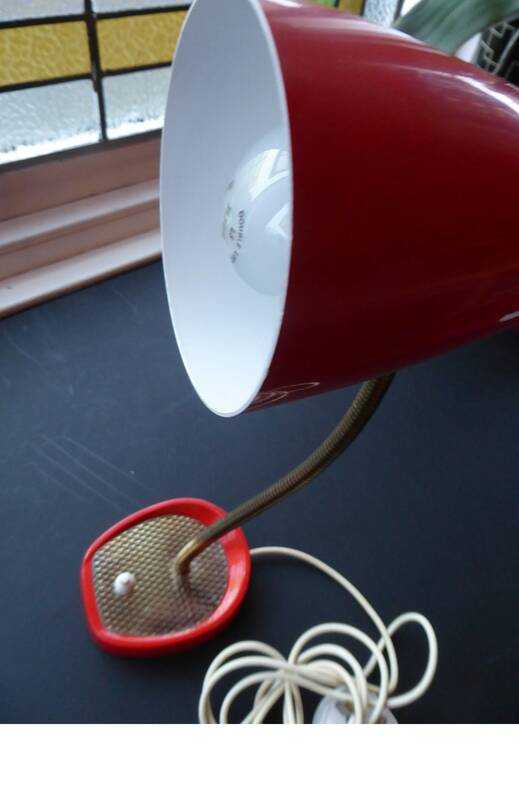 The shade is an orange metal one - with cut-away decorations. 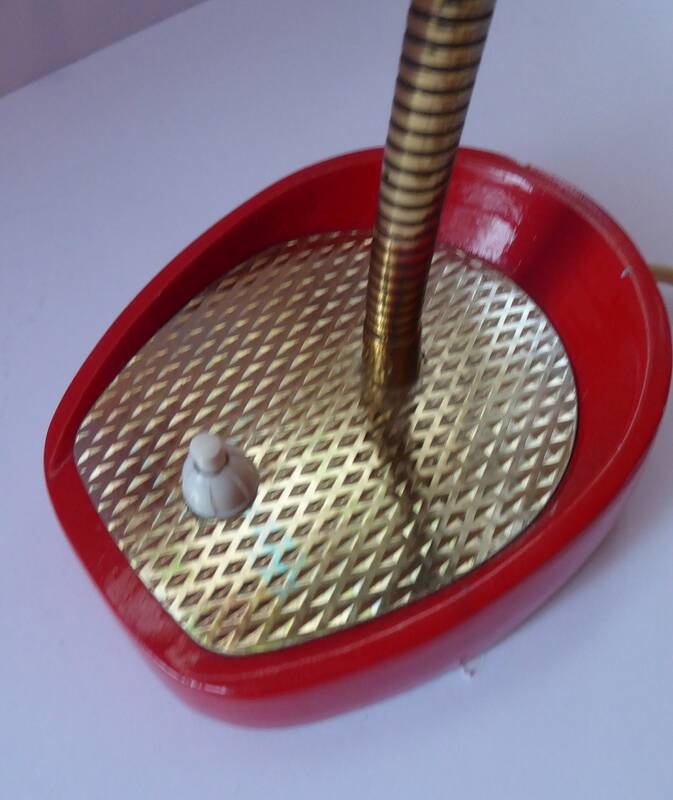 The colour of the shade is the original colour and it has a little decorative gold bobble on the end. 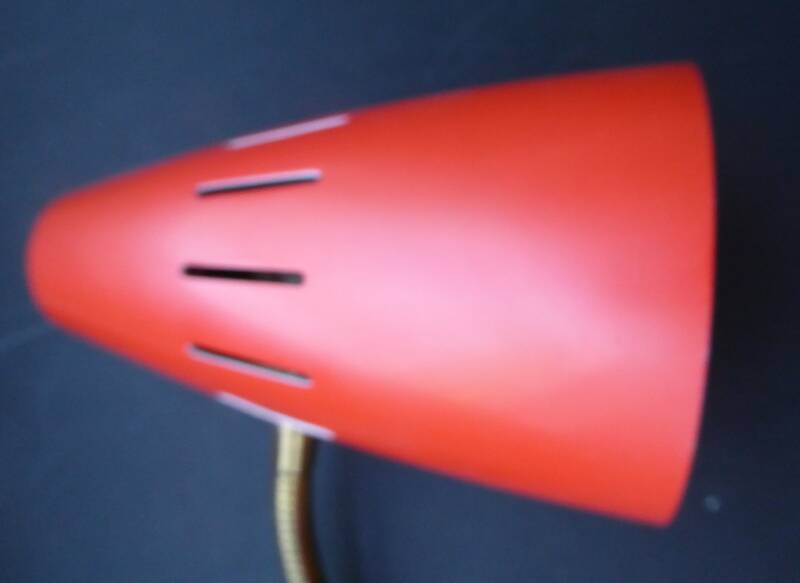 The shade is in good condition - with no dents, dings or scratches to the paint surface. 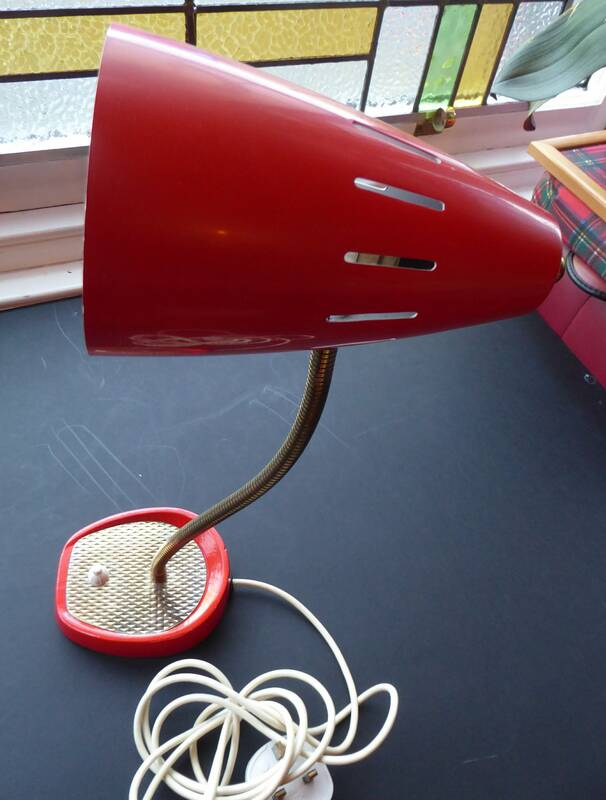 This lamp has belonged to me personally for many years - and I have hardly used it - hence its nice condition. 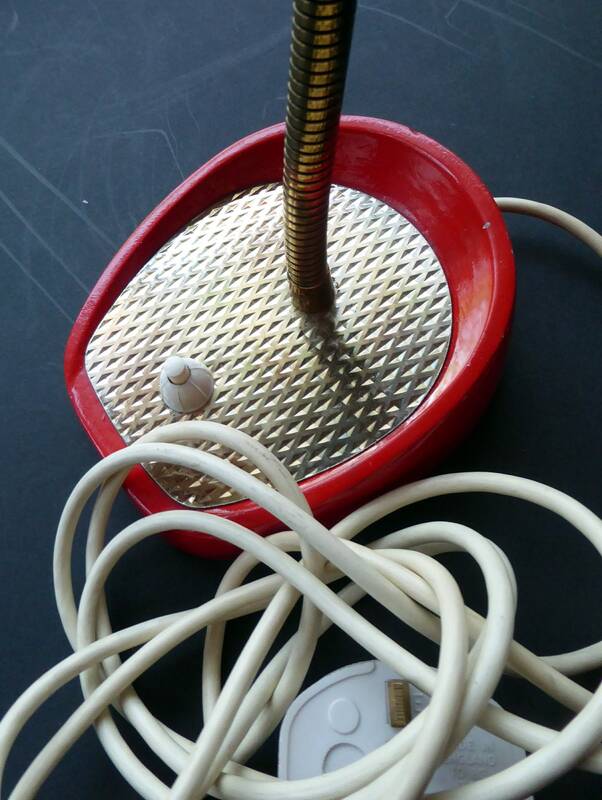 It is in working condition - but as with anything electrical it should be checked over by an electrician before using. 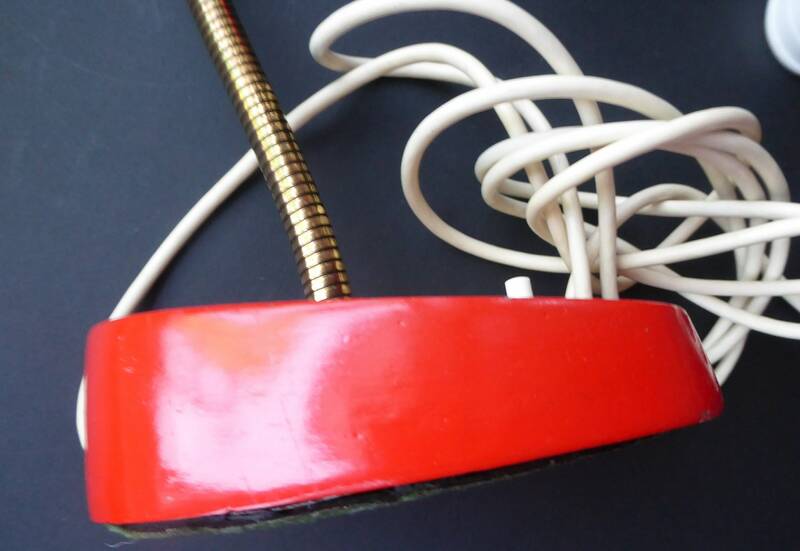 It has a nice length of flex and three prong plug for UK electric sockets.